No more waving goodbye to Mom and Dad as you glide up the escalator to security at St. John’s International Airport. Four years of construction to expand the airport terminal building have led to a whole new pre-board screening area, accessible through the first floor, not the second, and more services and seating at the departure gate. Passengers will enter security next to the check-in area on the main floor of the airport as of July 12. 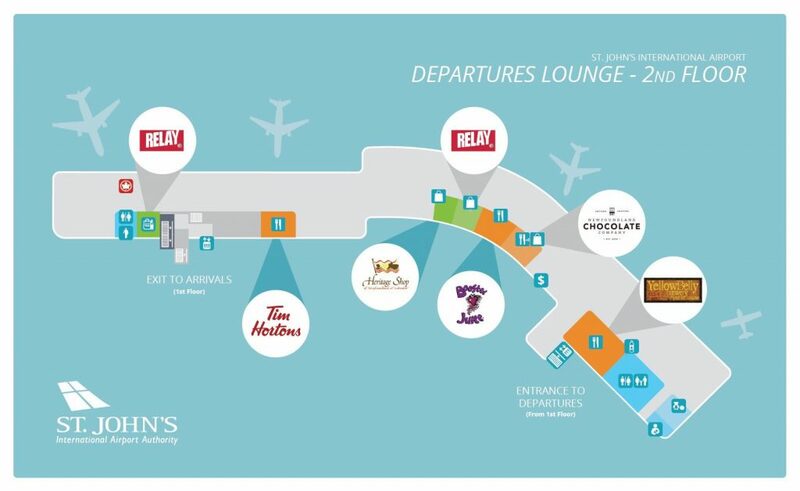 That’s when the first phase of the expansion opens, according to a news release issued by the St. John’s International Airport Authority on Tuesday afternoon. “The new and expanded departures lounge will feature additional seating and gate capacity, and more food and beverage and retail outlets,” the release says, with 145,000 square feet added to the departures area of the terminal building. The current services available at the departure gates are limited to one Heritage Shop kiosk, a Runway Lounge kiosk with coffee and snacks, and a Relay and Duty Free Shop. Since the terminal opened in 2002 designed to accommodate 900,000 passengers annually, the volume of people has grown to more than 1.5 million passengers each year. Ongoing expansion work is set to address those issues, with the second phase starting in 2019 to add roughly 100,000 square feet to the arrivals area.